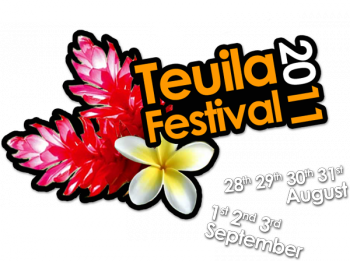 The recently completed Teuila Festival 2011 has been a real success – at least compared to last year’s offering. No doubt the Samoa Tourism Authority will be well pleased. Savali editor Tupuola Terry Tavita makes some good suggestions and speaks quite frankly about the poor tourism participation at Teuila in his recent editorial. The unasked question is: “What is the purpose [of the event]?” because as Terry observes – it is all about Samoa, not on generating tourism. Asking questions is dangerous, but as a strategist, I need to know what the objective is before I can develop ideas and a programme to achieve those objectives. Now before anyone gets the wrong idea here, I am NOT knocking Samoa or the STA in this post. These are the very same questions that I have put and will continue to put to anyone from the Prime Minister (and Minister of Tourism) to the STA and to anyone else in the tourism industry here. You see in assessing the merit and success of a venture, we need to establish what the goals are before we can make any judgement. In terms of goodwill, feeling good about ourselves (as a country) and looking good, I would rate this year’s event very highly. A lot of work went into it and well done to the team. I look forward to the Miss Samoa event tomorrow night with great anticipation. I did not get to last year’s event and wish that I did. But in terms of generating tourism, well I’ll let Terry say it for me, “… the small crowd in front of the government building – including a sprinkling of tourists – had to sit there for two hours watching about ten fire knife dancers come up and repeat the same routine.” The phrases “small crowd” and “a sprinkling of tourists” say it all. Terry’s short observations here are just the tip of the iceberg, of course. Believe me there’s many a thing that could be said about the entire event! Again, there’s nothing wrong with making the event good, or even just better but if there is no connection between what we are doing and what we are trying to achieve, then we’re going to go around in circles with words, and feel-goods, but there will be no fundamental change. It’s like this . . . Jesus had many people to heal, teach and bless . . . in fact so many that he told Judas to leave the poor to themselves! This was the Son of God, telling a man who seemed to want to help the whole world (we know that he was a thief and traitor of course after the event), and yet Jesus stopped the guy and encouraged him to focus on the purpose. Jesus purpose was to hit the road, train his team up to understand things, and then get on up to Jerusalem and pay the price for mankind’s rebellion. Thank the Lord that He knew His purpose and was strong enough to push through to make it happen. The result of Jesus’ obedience was that a fundamental change occurred – mankind now had the opportunity to relate directly with their Maker, the first time since the ratbags our forefathers Adam and Eve got booted out. This is the Christian message of course. So in the debriefing – either in the media or behind the closed doors in government circles, there needs to be a clear understanding of what the purpose of the Festival was and is. A strategist asks questions like these of the Board and helps them to stitch things together so that events DO achieve their purpose. Here’s another question (more like a thought) . . . If say $100,000.00 was spent on Teuila (I know that it is much more but let’s just use a round figure to make it simple); if $100k was the budget and if the goal was simply to have an extra 500 people (that’s say roughly two planeloads of people) visit Samoa for a week, then why would you run a festival at all? You’d be better to just print off a thousand $100.00 discount vouchers for Polynesian Blue (AKL-APW) and give them away. You would have an extra one thousand people in Samoa for a week in a jiffy! I’m not saying we SHOULD do this but that the purpose must be clearly defined and measurable and that the events, marketing and activities are focused on achieving that purpose. I think that Terry is on the nail with participation. It is not just a good idea – it is essential. With a billion dollars of negative press in September 2009, Samoa has a massive resource of people the world over just itching to chip in, join in, pop across and check us out, help out if they can and generally engage constructively with Samoa. This doesn’t apply to just the Teuila event by the way – it should be the country’s determined purpose to engage with our guests, demonstrating true Samoan hospitality, and sharing the love that should exist from Samoa to the visitor. One of the main reasons that Debbie and I set up the SWAP Foundation was because we knew the extent of the international goodwill towards post-Tsunami Samoa, and we could see how we could make a difference – a real, deep, positive difference – and that if we did the hard yards, that many thousands of people (both Samoan and Palagi) would have a far richer life through having engaged with the other culture. Moving off tourism for a moment, this principle applies to missionaries too. I have been talking in various ways to two missionaries recently about their calling, their purpose, if you will, both who have difficulty with envisaging the next step. Sure, they both want to save the lost and do good, but while their struggles are different the result is the same – delays, ineffectiveness and frustration. I’ve noticed that as I have grown older, and experienced more, that I have leaned closer to my calling, and that my purpose is more defined. The vision is bigger, but the purpose is also clearer. In your business ventures, and life activities, can you clearly identify your purpose? *A couple of months prior to the Teuila Festival, SWAP entered into discussions with STA to attempt to establish a working relationship at the request of the Prime Minister. We proposed developing value-adds to the Teuila Festival and developing products that we could market through Social Media activities – generating a buzz and selling specific promotional products. We estimated that even with a late start we could still perhaps bring in another two planeloads of people just for this event. You know “We’ve chartered a plane to Samoa for Teuila. Let your mates know about it and join us on the party tour!” sort of thing. STA first registered interest but in the end pulled out. [Our advice to] budding revisionist researchers … is to search for data that undercuts your beliefs & if those beliefs remain intact after having consulted sophisticated contrarian views, you can proceed on course; otherwise you must re-vision. Those outside this process cannot be taken seriously. They are cheerleaders for a partisan side.